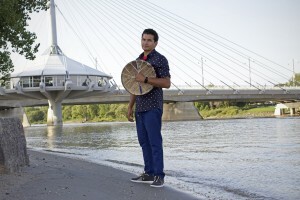 Wab Kinew is a Canadian Indigenous leader, hip hop artist, broadcaster and politician who grew up experiencing the hurt of the residential school system in his home along with racism in his broader community. Rising above, he now works toward raising awareness and encouraging compassion as a defender of social justice. Kinew is the opening keynote speaker for the International Peace & Justice Studies Conference being held in Nelson on September 22 to 24. Hosted by the Mir Centre for Peace at Selkirk College, the annual conference is the largest North American gathering of people interested in furthering the causes of peace, justice and non-violence. Kinew looks forward to sharing his ideas and learning from the gathered group. The conference aims to explore the theme “Obstructing the Old or Constructing the New? Embracing the Tension to Build the World We Want” as society works toward change for the better, says organizer and Selkirk College Peace Studies Program instructor Randy Janzen. Kinew was raised on the Onigaming First Nation in northwestern Ontario and in south Winnipeg. His father Tobasonakwut Kinew is a well-known activist, chief, professor and a residential school survivor. Wab Kinew’s memoir The Reason You Walk chronicles the year 2012 in which he strove to reconnect with his father as they both came to terms with reconciliation. Kinew has been open about his self-destructive lifestyle early in adulthood, haunted by the residential school system’s effect on his family; he acted out, vocal as an underground rapper. He was an outsider. 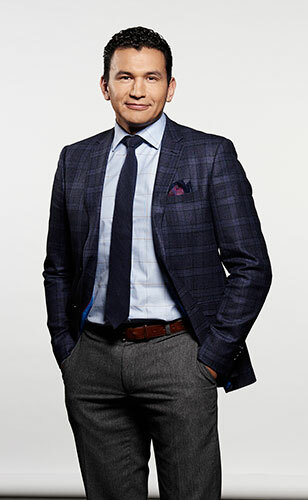 Kinew began working in broadcasting, as a reporter and CBC radio host. Recently, he was elected to the Legislative Assembly of Manitoba in the hotly contested riding of Fort Rouge and was named NDP spokesperson for reconciliation and the critic for education, advanced learning, and training as well as housing and community development. Kinew is also an Honourary Witness for the Truth and Reconciliation Commission of Canada. The world Kinew works toward building is one that’s equitable and fair – but also more caring and compassionate. While in the West Kootenay, Kinew will also participate in the Strengthening Our Relations regional youth conference hosted by Selkirk College. This is the third annual event aiming to engage Indigenous youth, celebrate culture and examine a youth role in reconciliation. As a child and into adulthood, Kinew looks up to his parents: “I hope I have my dad’s toughness and my mom’s compassion.” The Indigenous leader sees great value in strong role models for youth. “Very few people dream of things they haven’t seen others like them accomplish before,” he says. “In Indigenous communities, a lot of the mainstream discourse is framed around painting Indigenous people as ‘less than’ and it’s easy for a young Indigenous person to start believing that message. But when an Indigenous youth sees someone they can relate to, as a high achiever, someone living a healthy lifestyle, someone going above and beyond, then it helps to counteract that message and empower them and unlock the potential they have within themselves to go out and do great things,” he says. Admission to hear Kinew speak at the Capitol Theatre at 7 p.m. on September 22 is included with registration to the conference; however, a limited number of tickets are also available to the general public at the theatre box office. For more information about the International Peace and Justice Studies Conference visit the event page and to learn about the Strengthening Our Relations regional youth conference go to the event page. Learn more about the Mir Centre for Peace and Aboriginal Services at Selkirk College. Follow us on Facebook.